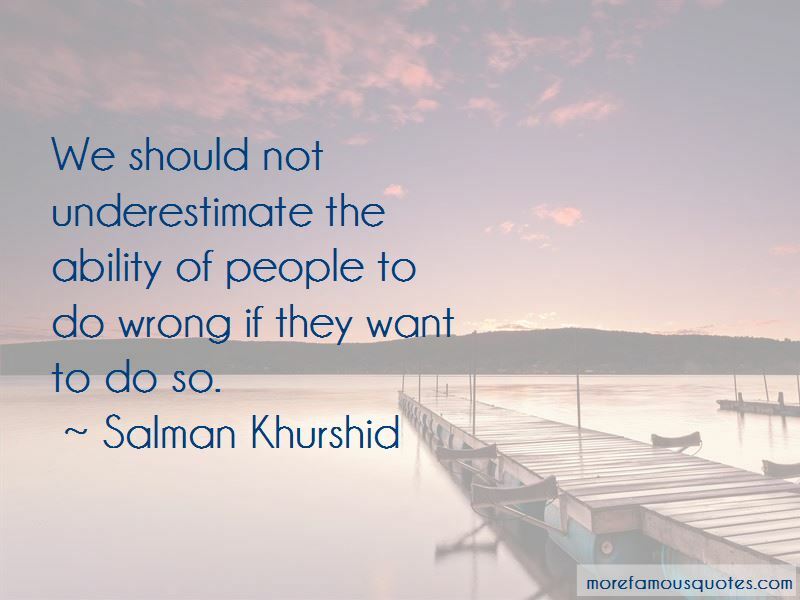 Enjoy the top 20 famous quotes, sayings and quotations by Salman Khurshid. People can defame anyone they like, people can write anything they like. 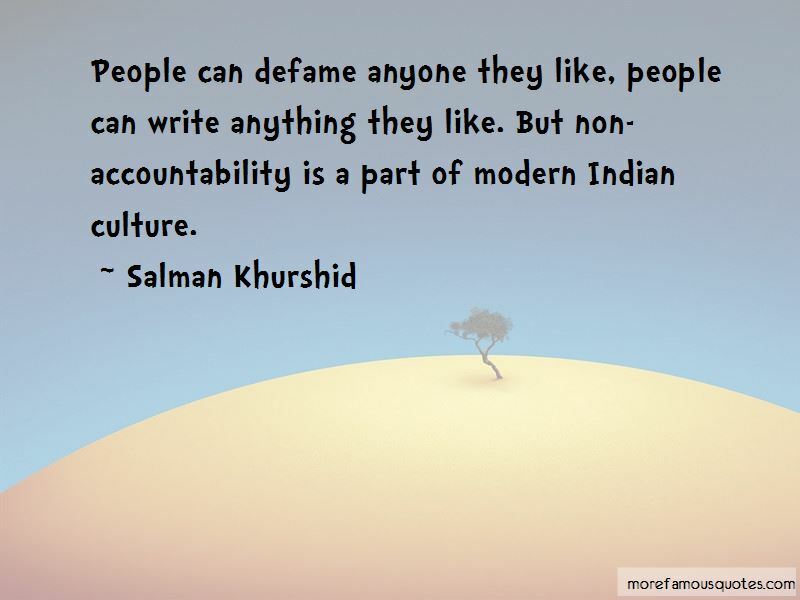 But non-accountability is a part of modern Indian culture. Business and politics have a wholesome and an unwholesome interface. You have to eliminate the unwholesome interface. Generally, it is human endeavour to have young people lead, and you see that in public life in the U.S. and everywhere. 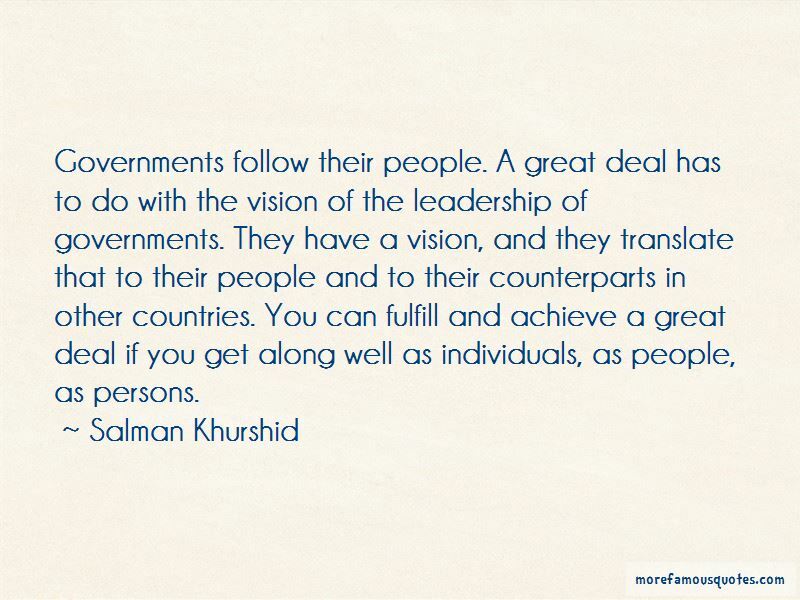 Want to see more pictures of Salman Khurshid quotes? 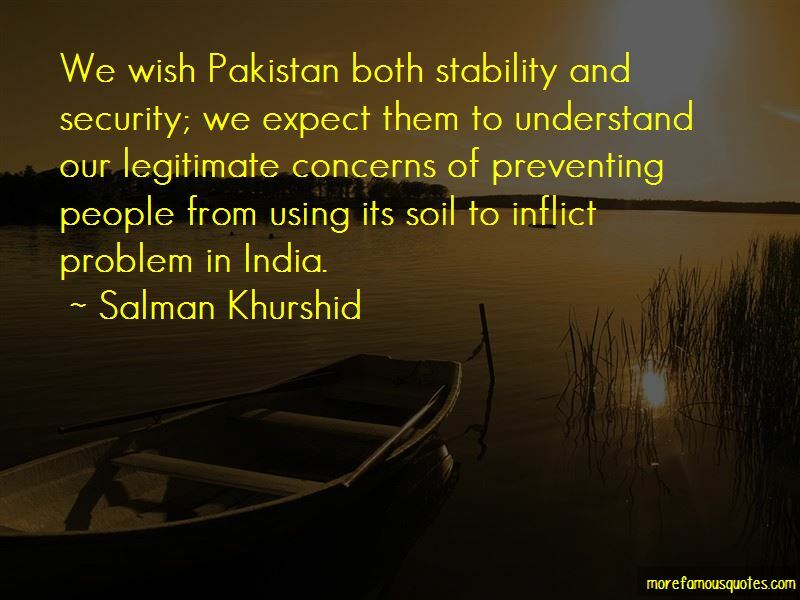 Click on image of Salman Khurshid quotes to view full size.